The New Broadway Cast Recording does not disappoint, either. The lavish CD, chock full of Joan Marcus' stunning photos and Robbie Rozell's excellent design, makes reliving the show very easy. But I have to admit, listening to it in the dark is my favorite way to experience the exotic world of Ti Moune, Daniel and the Gods. Booklet: Full color, 33 pages. Complete lyrics. CD package design by Robbie Rozell. Production photos by Joan Marcus. Cover Artwork by AKA. Essay by David Gordon. Album produced by Lynn Aherns, Stephen Flaherty, Elliot Scheiner, Hunter Arnold, Ken Davenport and WitzEnd Productions. Executive producer Van Dean. 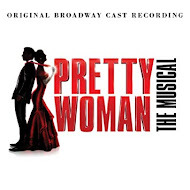 It's not really a surprise that the cast sounds terrific - Hailey Kilgore, Kenita R. Miller, Phillip Boykin and Isaac Powell are vocal standouts, and Alex Newell does a better job with "Mama Will Provide" here than he did when I saw the show. The real treat here (and again, even better in the dark) is listening to the ensemble and instruments. The orchestrations by Annmarie Milazzo and Michael Starobin, with the fun of John Bertles and Bash the Trash's "unusual instruments" are literal music to the ears. Even if you haven't seen the show (what the heck are you waiting for?) 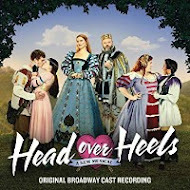 this cast recording is worth listening to.